Sneak away for a musical lunch break with Jim DeRogatis & Greg Kot for a LIVE taping of Sound Opinions at the Goose Island Tap Room! Timony was a vital part of the indie rock world of the 1990s with her band, Helium. After her time with members of Sleater Kinney in Wild Flag, Timony embraced her status as a guitar hero when she founded Ex Hex with Betsy Wright on bass and Laura Harris on drums in 2013. 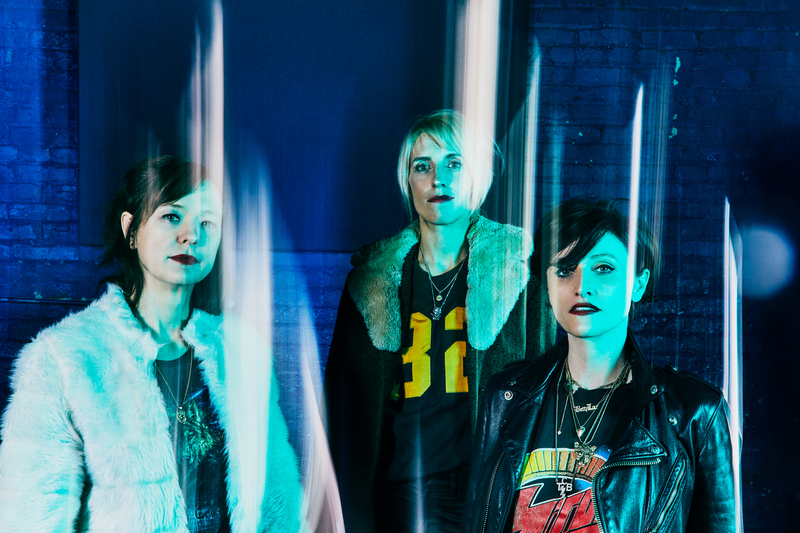 Join us for a beer and some free music from Ex Hex. It's all happening on Wednesday, April 10th at the Goose Island Tap Room in Chicago. And it's FREE!! The recording will run from approximately 12:00 – 1:00 p.m. Please be there promptly at 11:45 a.m. to secure your spot. -No late entries. The doors will close at 12:00.